Jada Pinkett and Duane Martin Spotted at XEN. Jada Pinkett and Duane Martin was spotted at XEN. Jada Pinkett Smith and Duane Martin was hanging out over the weekend at XEN. There is nothing wrong with two married friends hanging out having a good time. But Let me warn you, all bloggers are not as nice and honest as I am. Many people will stir this into something it’s not!! Especially after all the rumors of Jada and Will Smith getting a divorce because of Duane Martin. Let’s Hope this don’t get blown out of proportion. 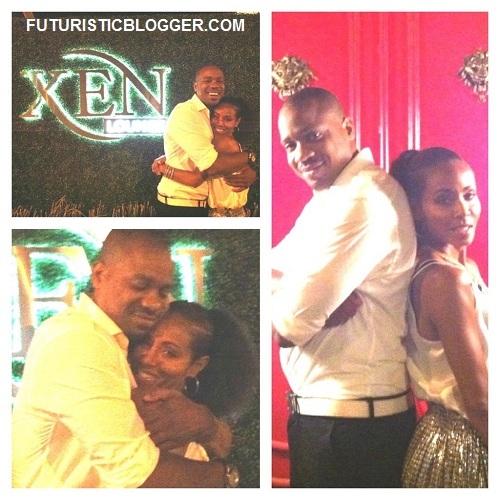 Jada Pinkett Smith and Duane Martin Spotted at XEN.